Do you want to earn and convert cryptocurrency into Australian dollars with a single tap? With the introduction of our new wallet feature, Shping Coin is now the first cryptocurrency to offer direct cash out to any bank in Australia. If you’re new to Shping, you might be wondering what Shping Coins are. These coins are our very own cryptocurrency, and can be earned while you go about your day-to-day shopping. That means strolling the aisles and scanning barcodes, taking photos of products and writing reviews can all earn you cold-hard crypto cash. It’s an easy way to dip a toe into the world of cryptocurrency without needing a computer science degree. 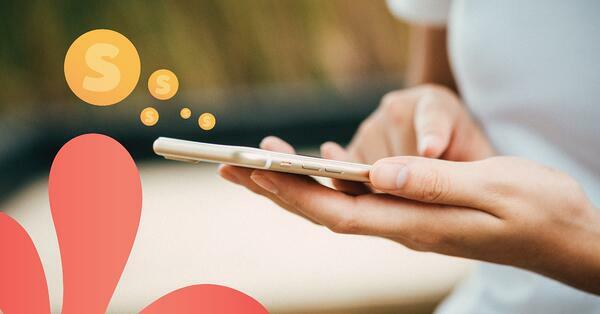 Think of Shping as your shopping buddy: in addition to giving you the most relevant product information like promotions, reviews and recall status, it rewards you for your efforts with Coins that can be converted into cold hard cash. Once you’ve downloaded the Shping App and registered your account, you’re ready to start earning Shping Coins. You can earn Coins in the ways that suit you best: from scanning the barcode of items you find in-store, to taking photos of your purchases in action at home. Adding handy tips, hints and reviews for other Shping users can earn you extra points. Here’s a hot tip: if you want to earn up to 10,000 Shping Coins a month, you can invite your friends to become your ‘Shping Buddies’. You’ll get a 1,000 coin bonus for every friend that signs up! Cashing out your Shping Coin is easy: first, you’ll need to head to the Rewards tab. Can you see how many coins you’ve earned so far? Nice one! Choose ‘cash out’ to withdraw your coins and add the bank account you want your Shping earnings deposited in. Forget complicated voucher codes or in-store-only offers: with Shping, It’s never been easier to redeem your rewards. All you have to do to cash out your Shping Coins is tap that ‘Submit’ button. That’s all it takes to get your coins transferred into cold hard cash, deposited directly into your account. After one-two business days, your funds should be available. Too easy! Have a better shopping experience with Shping, and get rewarded for making smarter purchasing choices today. Download the app today.